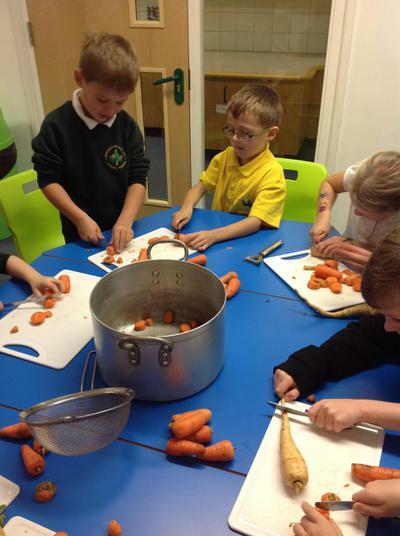 We have had a lovely day preparing for our Food for Life event. 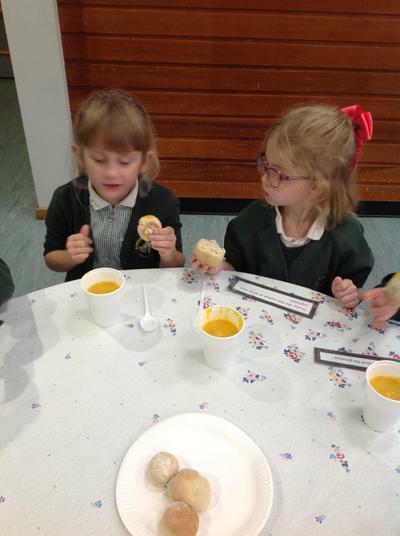 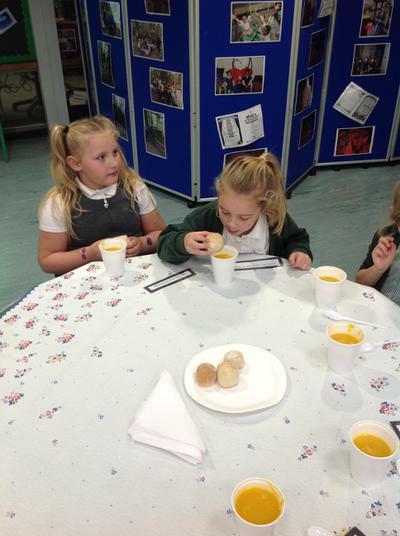 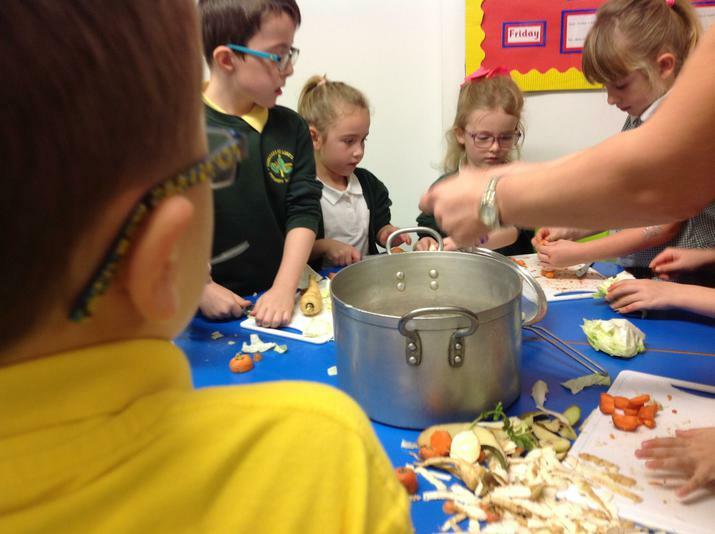 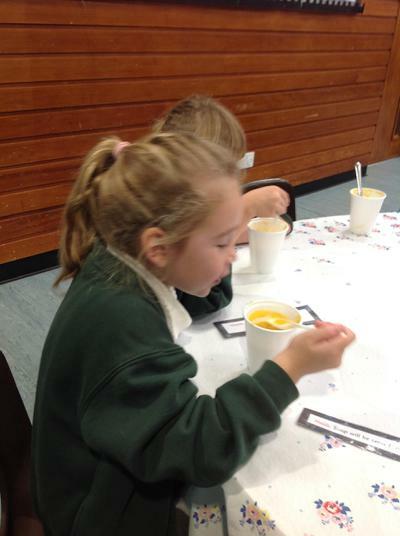 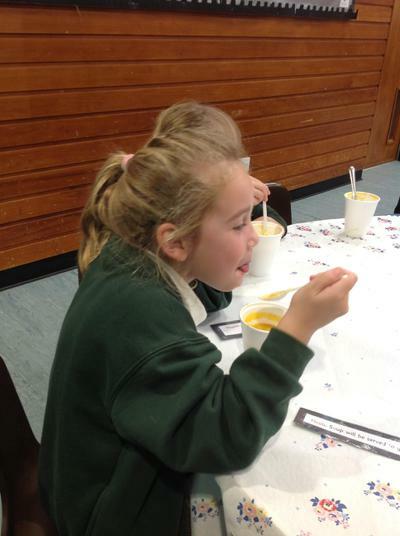 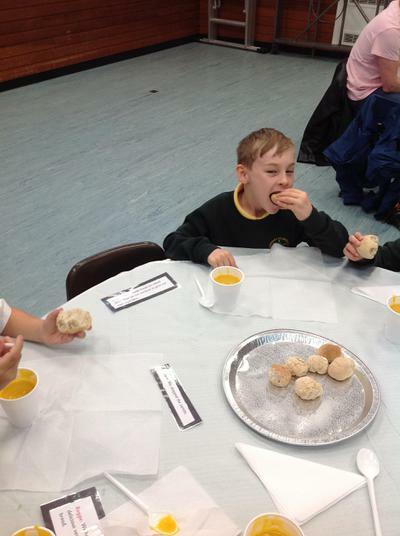 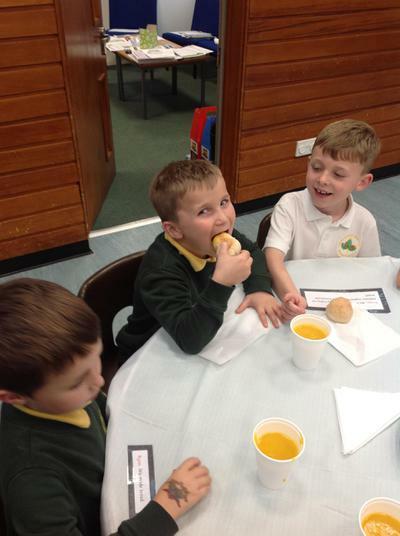 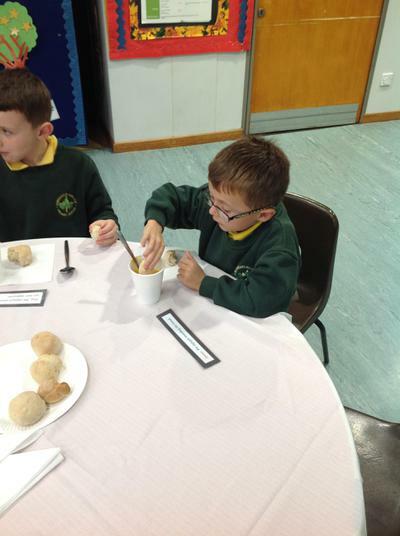 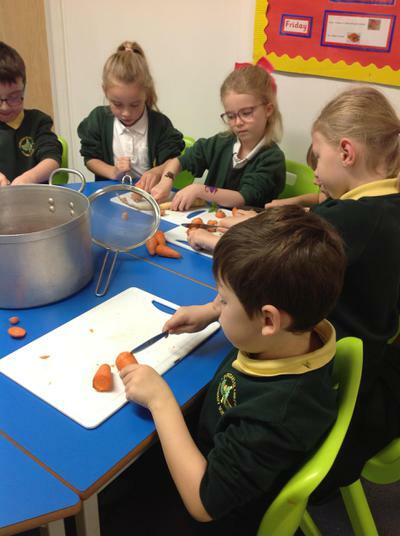 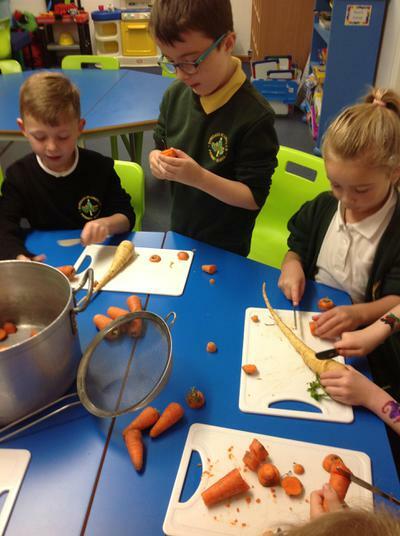 We used the vegetables grown in school to create a delicious meal of vegetable soup and homemade bread. 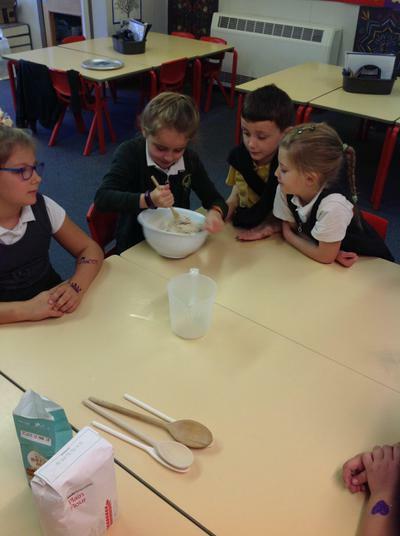 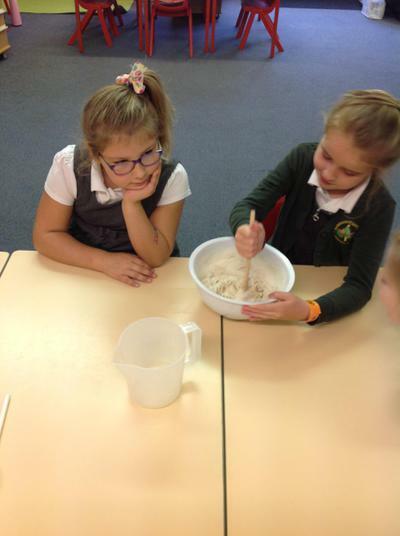 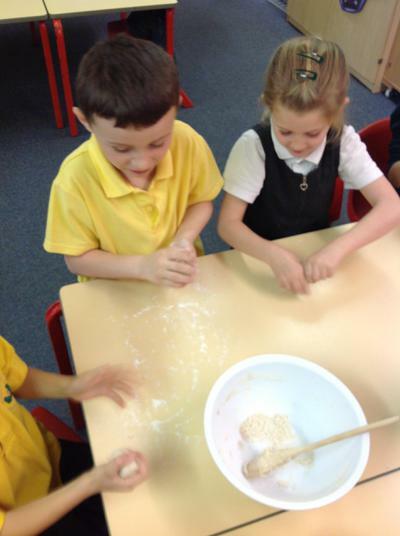 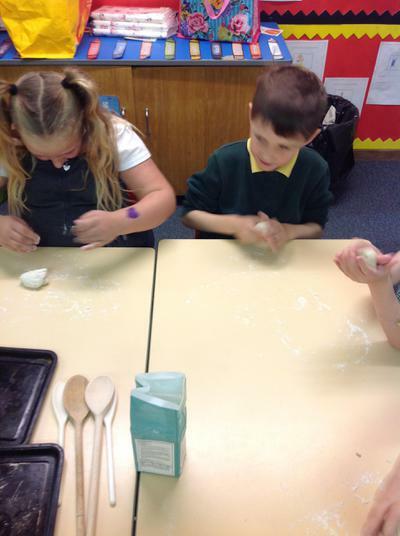 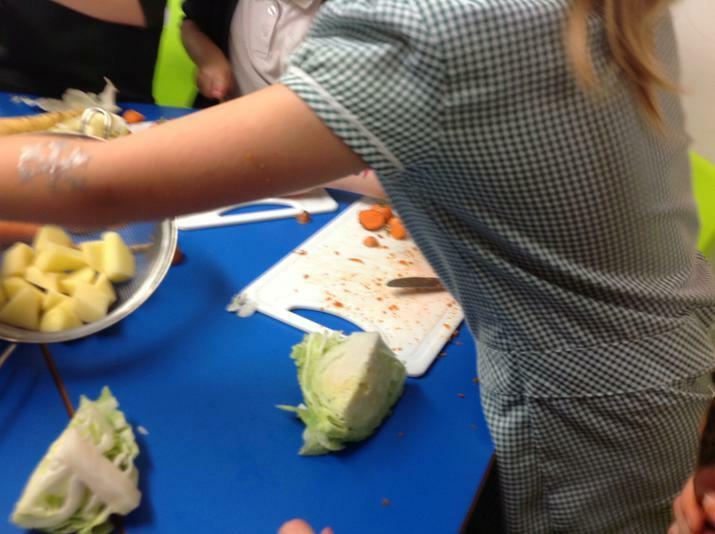 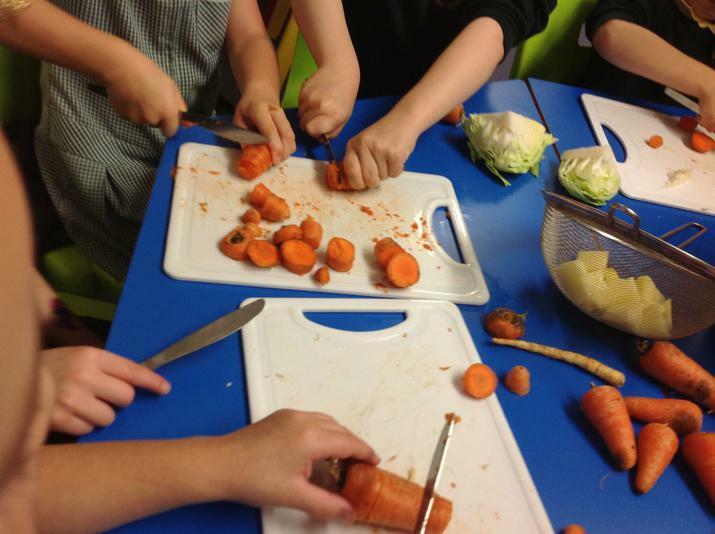 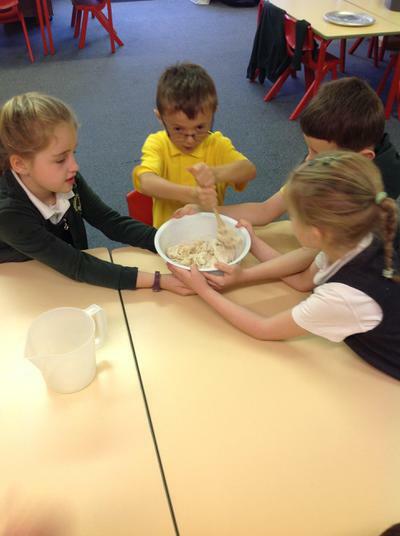 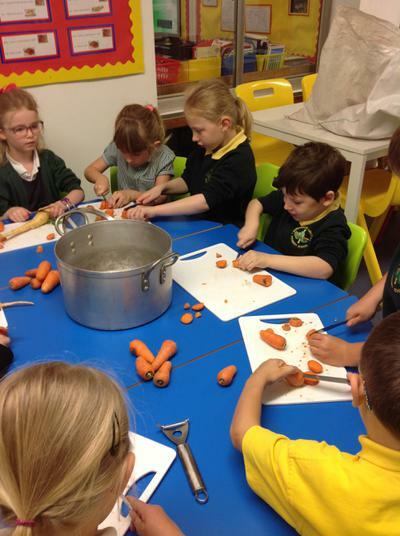 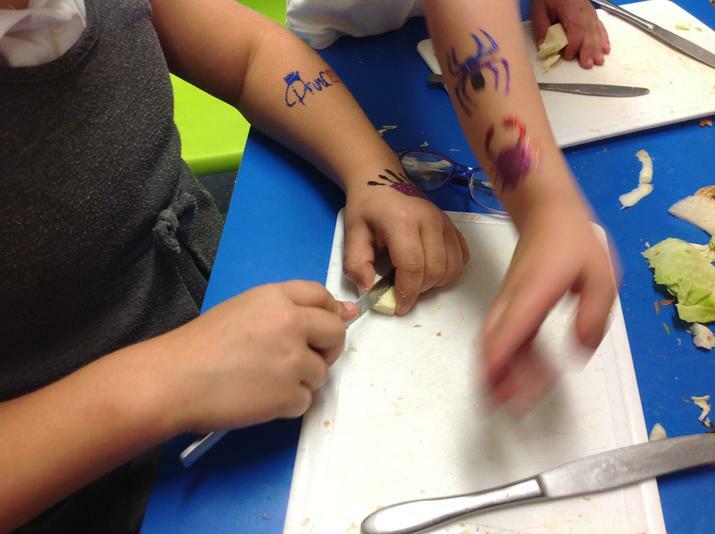 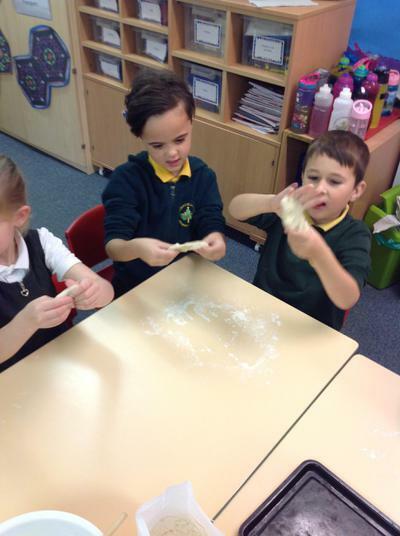 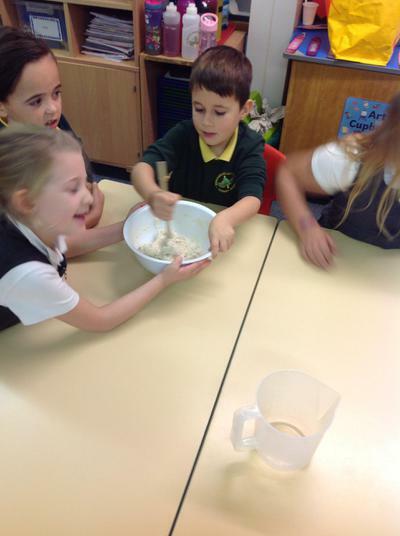 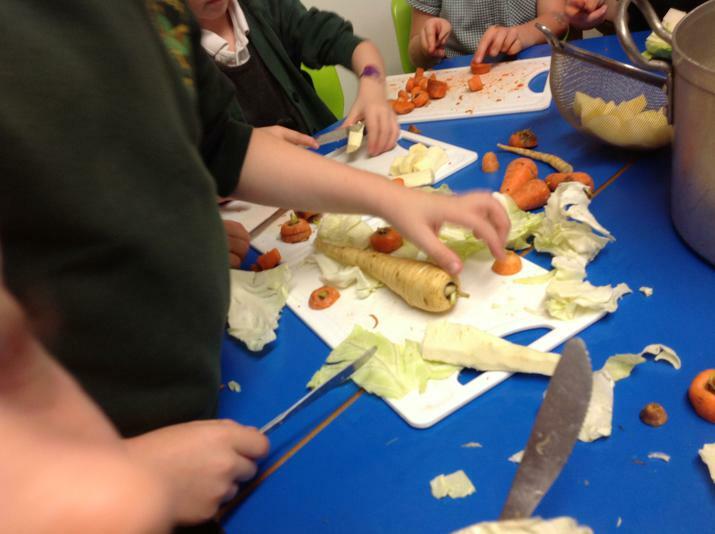 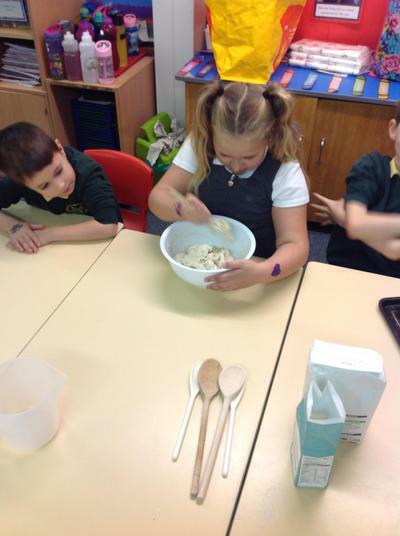 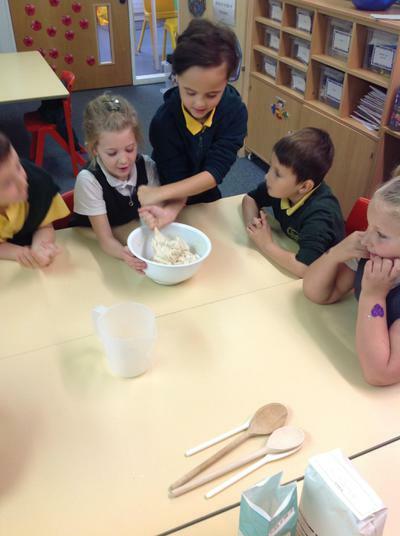 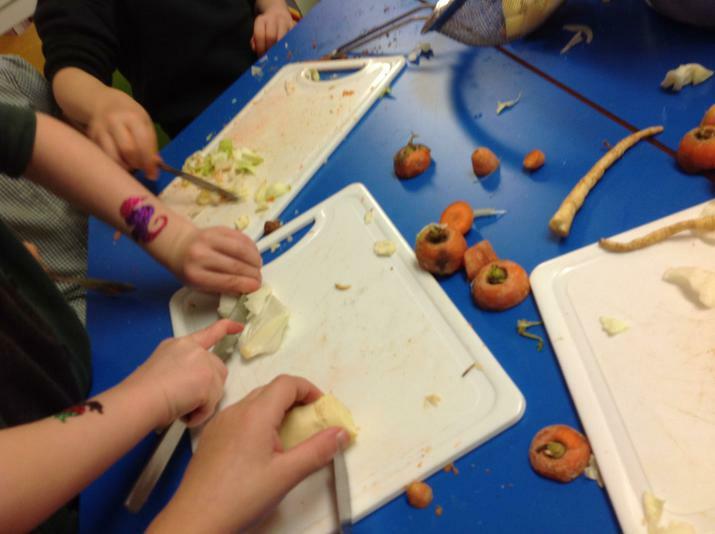 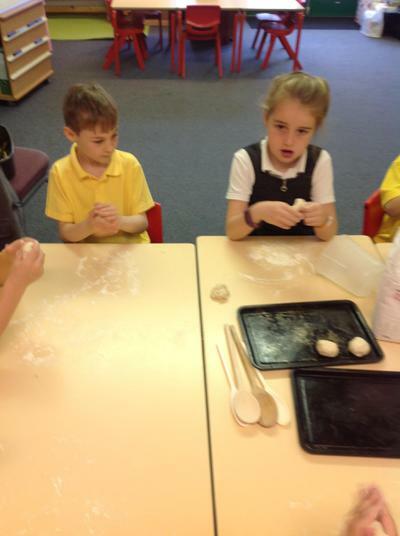 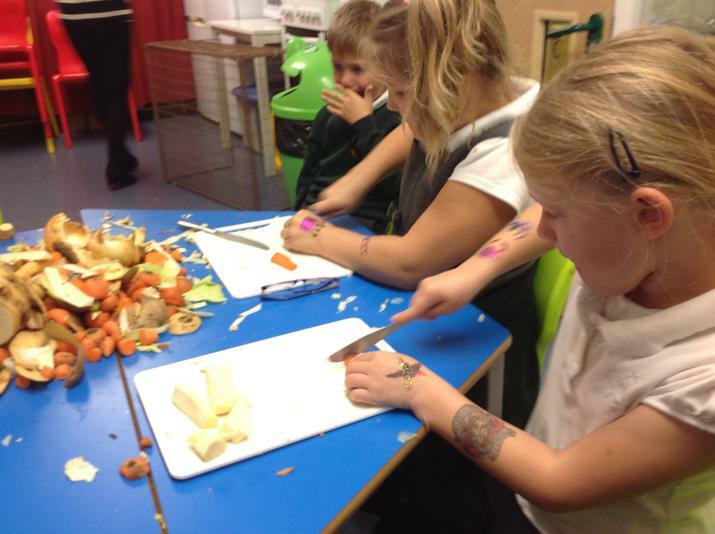 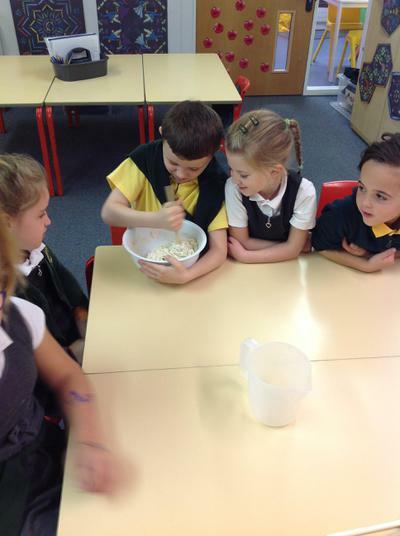 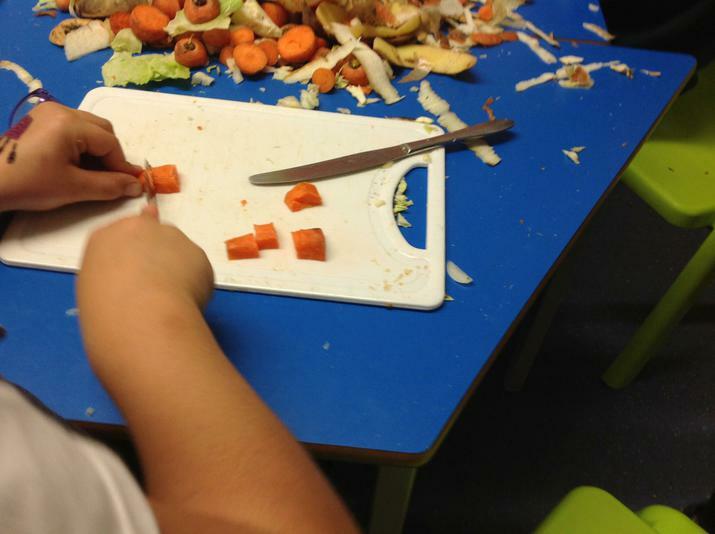 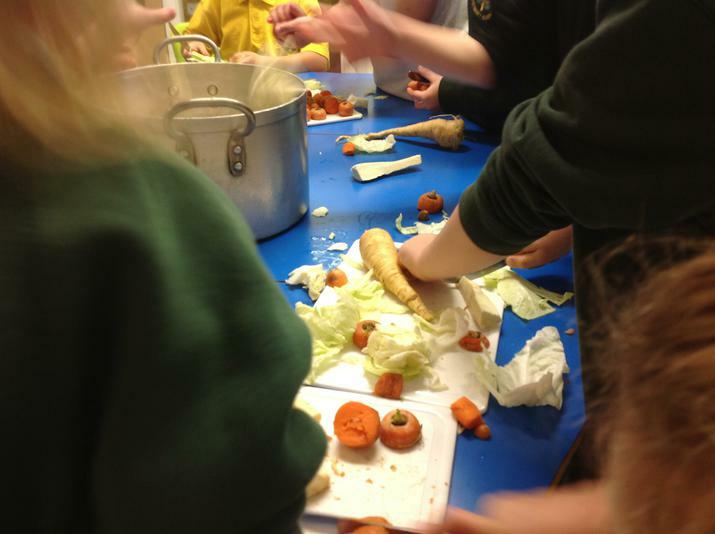 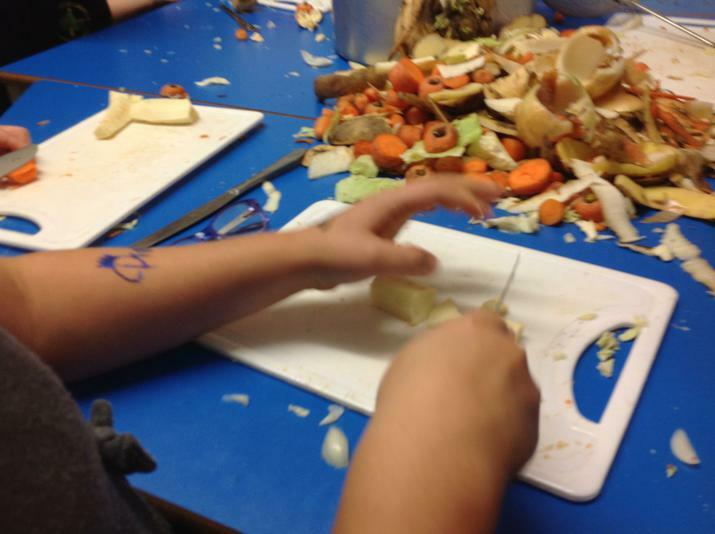 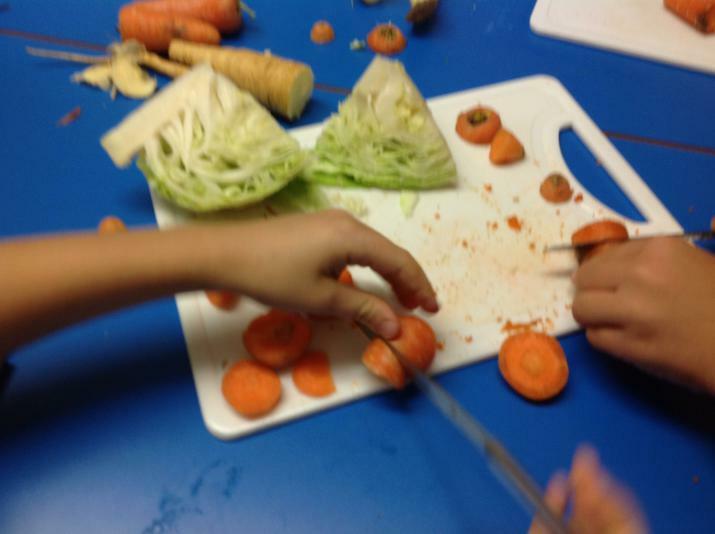 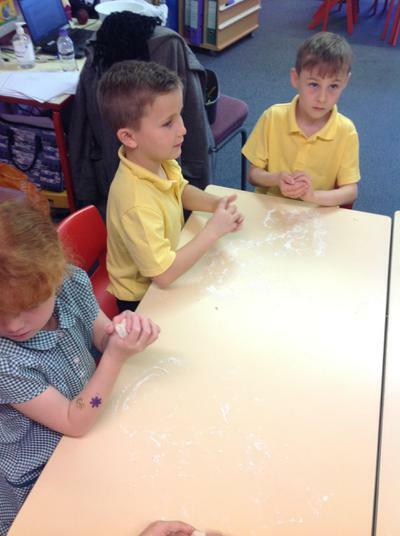 We learnt how to correctly use kitchen equipment to prepare the vegetables and we had lots of fun kneading the bread. 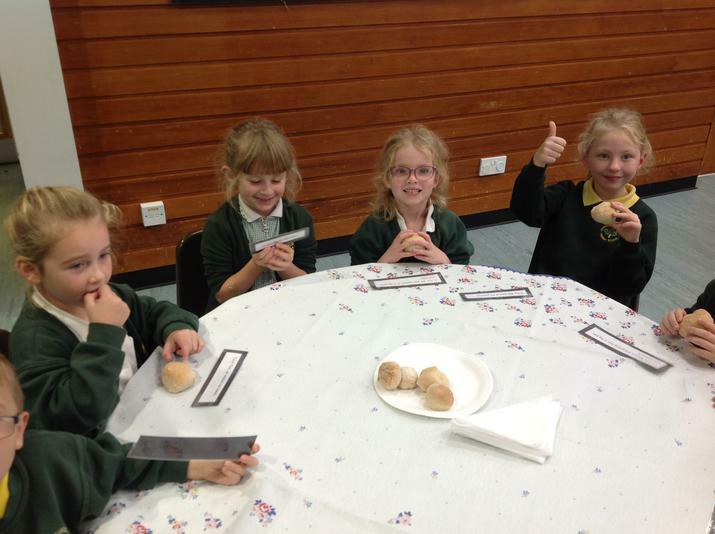 We also spent some of our time preparing a presentation for our grown ups. 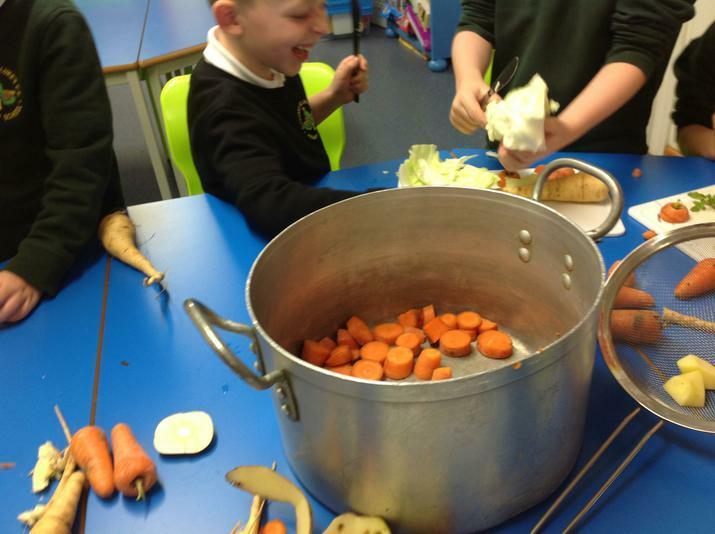 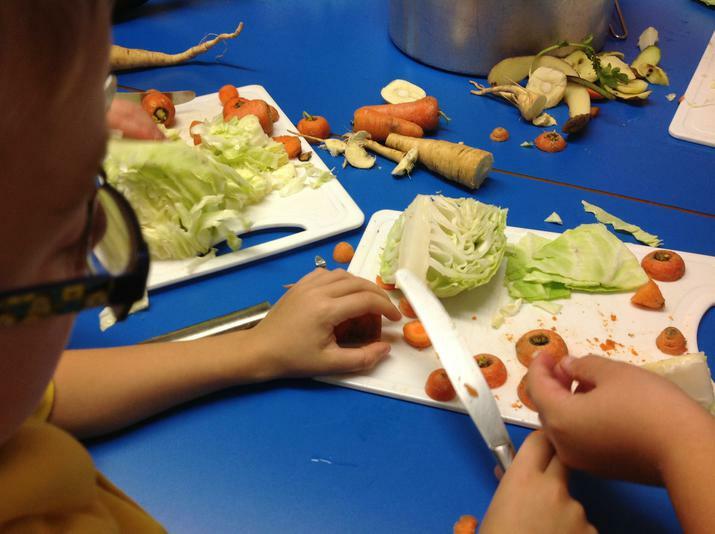 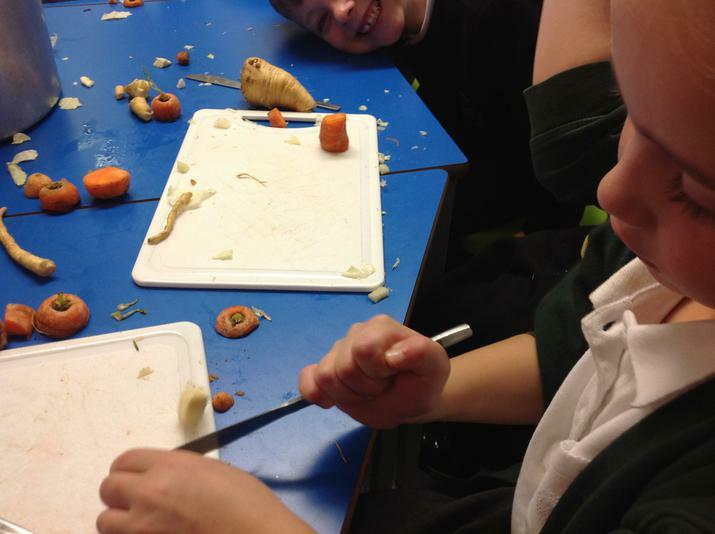 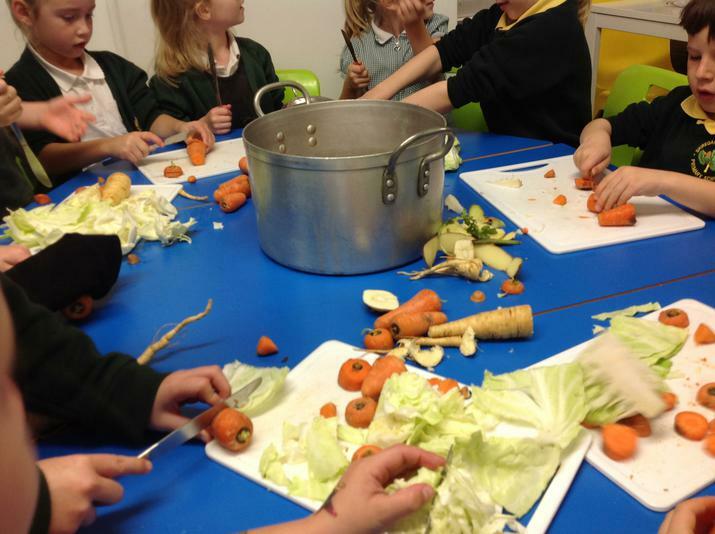 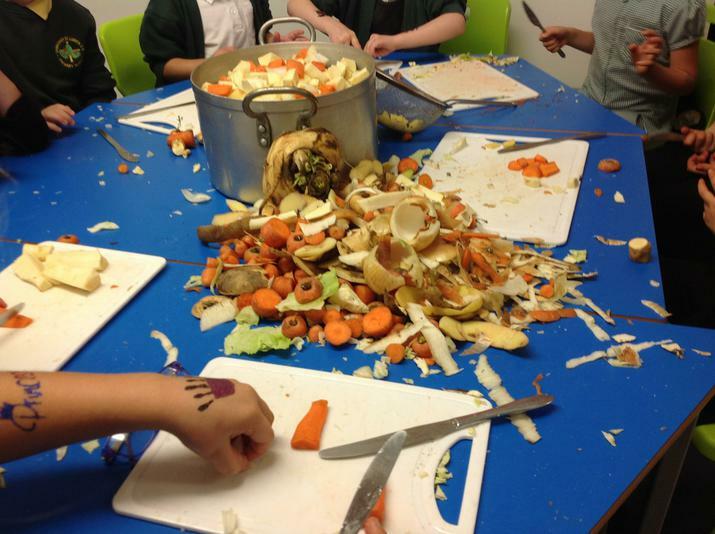 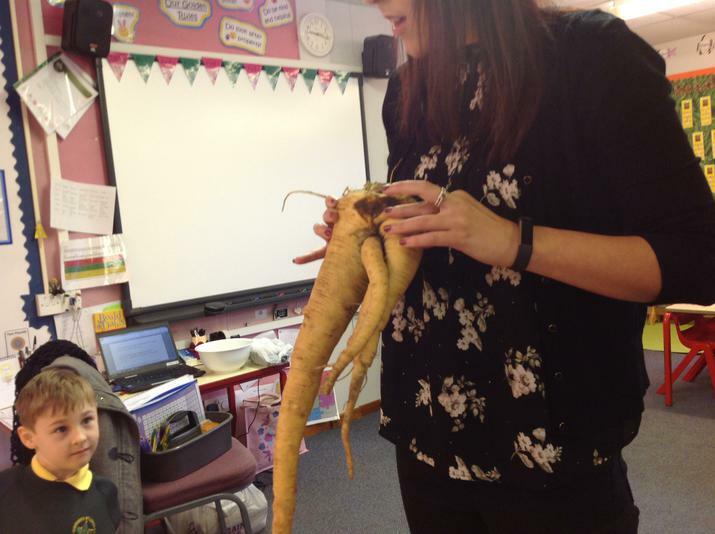 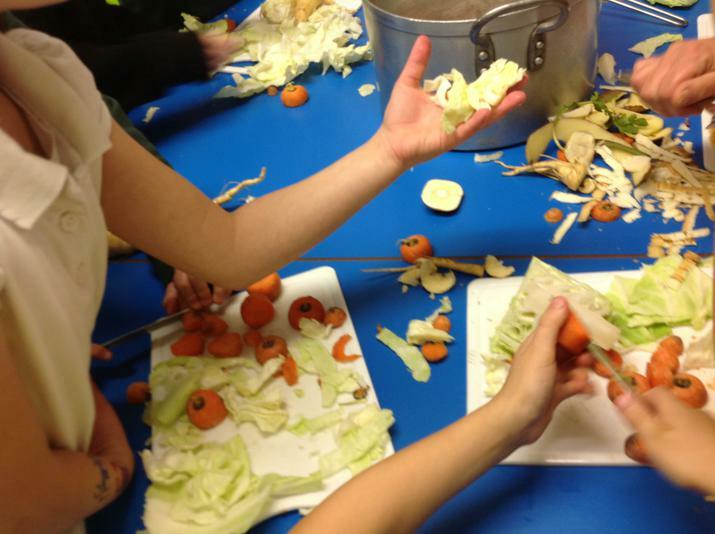 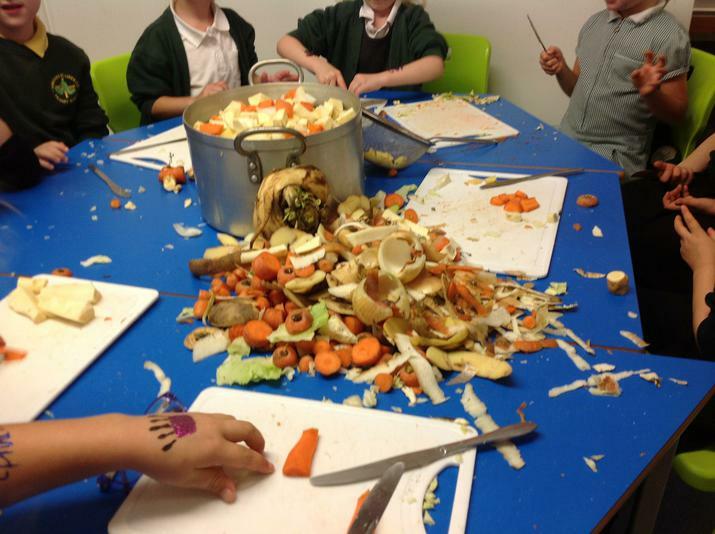 We talked about how we made the vegetable soup and we talked about the vegetables we can grow in this country. 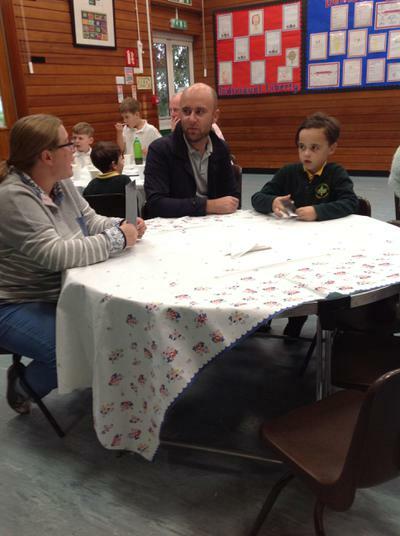 Finally, our favourite part of the day was sharing our learning with our grown-ups. 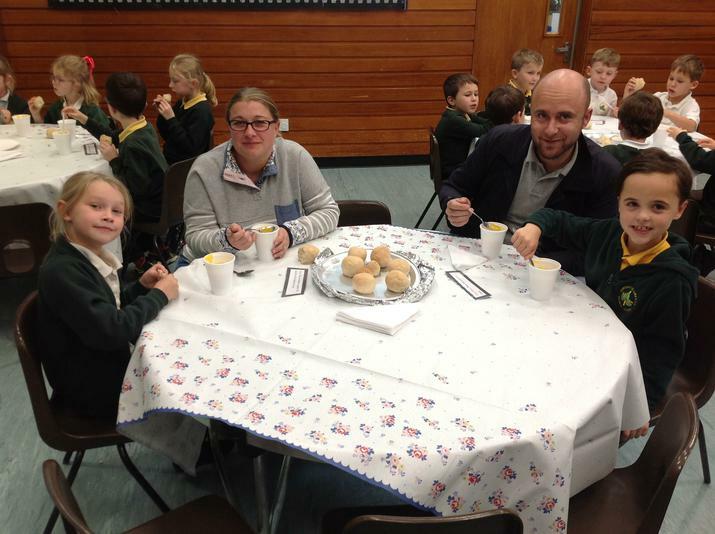 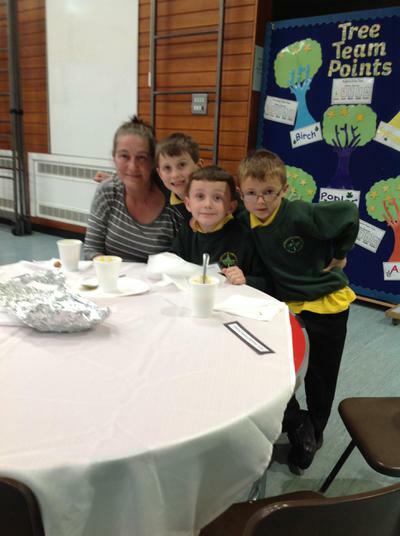 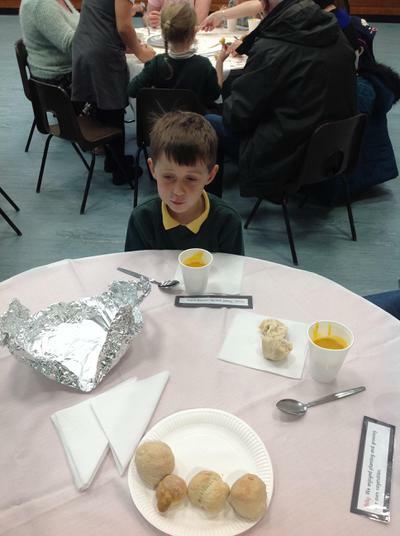 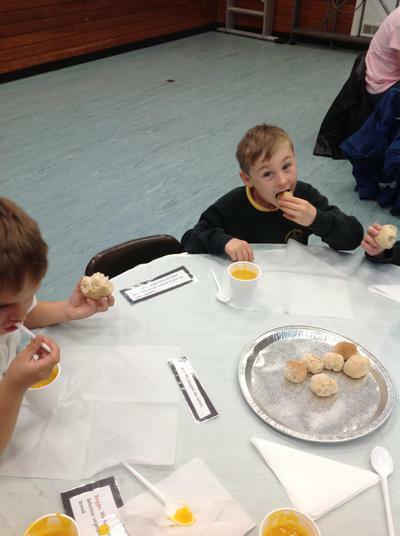 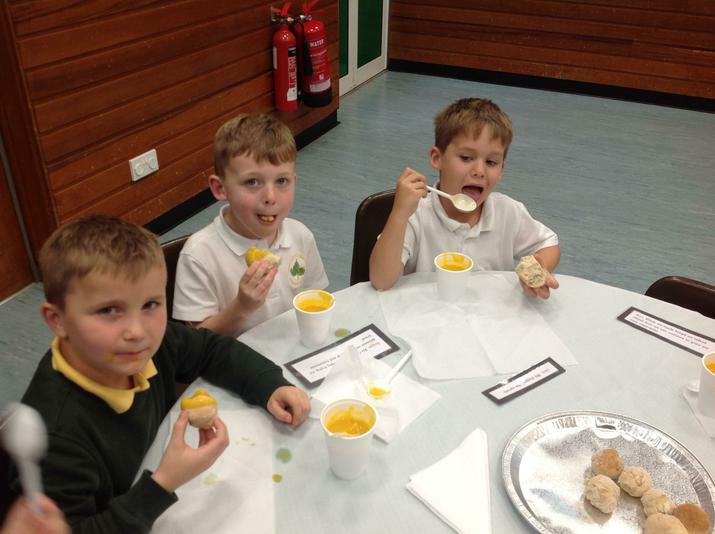 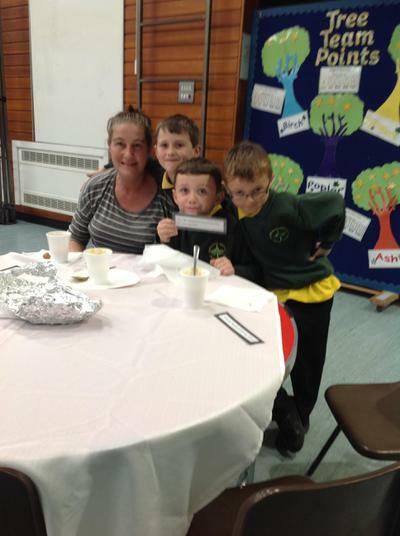 We were glad our grown-ups could come and join us to try our soup and bread.